I believe we have lost our course in education in our state, as well as nationally. 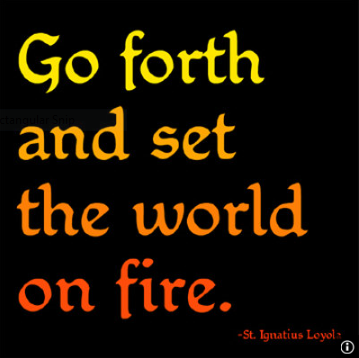 Now is the time to stand up and speak the truth, even if it is unpopular. I’m here representing a growing group of concerned parents and educators across our state. I also spoke on an expert panel in a Senate Hearing hosted by Senator Chase and Senator Roach in April 2015 on common core and the high stakes tests. Senators, I have written to many of you. Thank you to those who responded back and showed a willingness to listen and have courageous conversations with me about education. The title of this tour is “Senate Listening Tour”. There are solutions which, from my humble perspective, do address the funding challenges facing our schools today. Our children are being over tested in the name of “accountability”. Our children are being used as experiments through the common core standards in the name of “rigor”. What expense has Washington State undertaken to implement the common core tests? What validity do they have? What inter-rater reliability do they have? Advertisements went out to hire scorers at $11.20 an hour in local newspapers to judge whether our children are proficient at these untested standards. Do you want your own children’s futures based upon a Craigslist Scorer? I appreciate the time Senator Roach and Senator Chase have taken to dig into the history of common core. I encourage each of you to do the same. In order to accept the Federal carrot from RTTT, the expense of common core is costing more than the carrot itself. Withdraw from SBAC. Please do not try to convince anyone we can’t. The tests have been trashed like the second half of a rotten apple in various states. 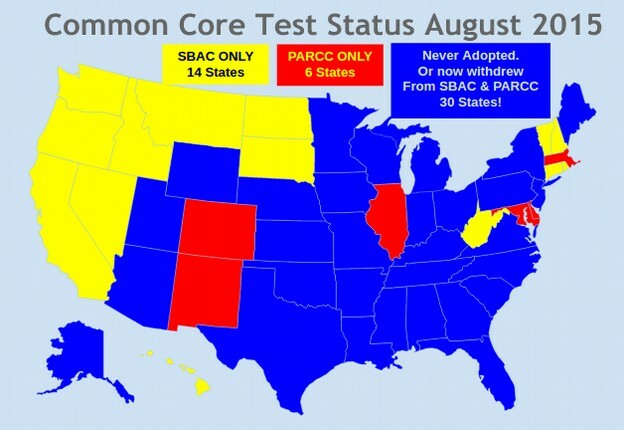 PARCC used to include 26 states. It now includes seven, with three showing signs they may drop. 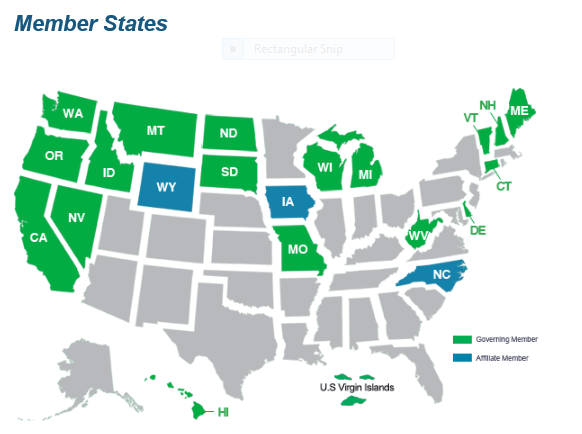 Smarter Balanced started out with 31 states (some states joined both groups, so the total is more than 50). It now has 18, with at least three getting wobbly. We are spending millions a year on these tests that do nothing to improve student learning. Are you paying attention to what this Testing Regime is doing to our children? Are you listening to the personal stories? Eight and nine year olds are sitting in computer labs for full days at a time. Is this developmentally appropriate? These young children are taking tests for longer periods of time than college age students on college exams. Senate Bill 6093, sponsored by Senators Chase and McAuliffe, would repeal the 1997 huge tax exemption to the wealthy and invest $4 billion per year in public schools to restore school funding and lower class sizes. Corporations like Microsoft, Amazon, Starbucks, etc… would no longer receive tax loopholes. There is money to fully fund education. Imagine if we evaluated fireman by how they put fires out and then restricted their water supply and gave them crappy fire trucks… !? 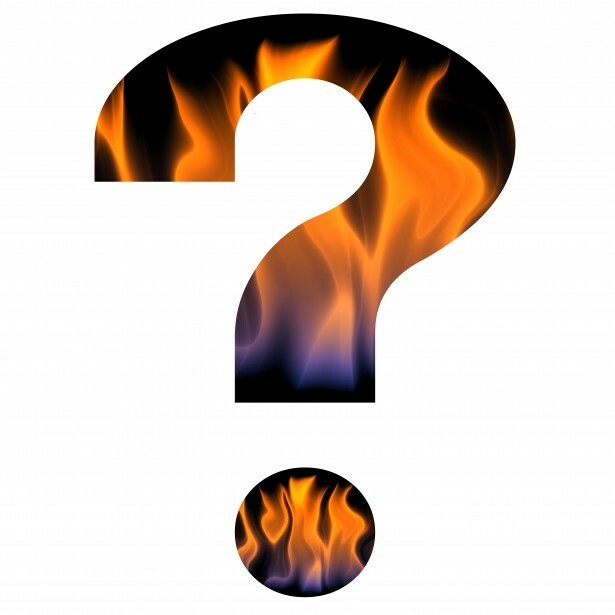 Can you tell me how much the reforms are costing… all the standardized testing, teacher and principal evaluations (TPEP), the data mining, and the infrastructure to support it all? There is money, Senators. It is time it’s used to authentically benefit children and public schools. The bulk of the training was around TPEP, the new teacher evaluation system. Teachers sat before a screen and listened to district personnel explain to them the requirements of being an “applying” or “innovative” teacher. The message was clear that teachers needed several data points to prove their students had mastered certain skills and concepts. Amplify was listed as one of those data points. Amplify Testing is now being subtly pushed to be used and linked to teacher performance. If you are interested in Amplify’s history you can read my chronological compilation here: Amplify… A Modern Day Medusa. It must be realized the tremendous pressure educators are under. I watched the look on many teachers faces throughout the day. Their training, their creativity, their innovative abilities, their love of children, their knowledge of child development… is being discounted and ignored. It must be understood how the mandates from the Federal, State, and District Level are impacting classrooms. Understand, if anyone desires to see changes in our schools, attendance at school board meetings, willingness to speak at school board meetings, and voting in new school board directors who are willing to be out in the schools, listening and learning what educators and children need… will ALL be critical. I also did some math. 2400 hundred district employees were paid for attending this training. Considering per diem rates range from $222.00 to $366.00 a day per employee, I multiplied 2400 X $300 (close average). It cost the school district somewhere around $720,000 dollars for this one day training. This is tax payer dollars at work. Many educators felt demeaned, devalued, and slapped in the face. I was mandated to be at this training although I am not on TPEP and have received much of the same training over the past three years. I was told I had to be at the training so I would “know what the teachers are going through and know how to help them.” With all due respect, I am quite clear on exactly what teachers are going through at this time in Public Education. I’m in their classrooms. Their autonomy to do what is right for children is being squelched as they are handcuffed with the Federal, State, and District mandates. The morale of the teachers. As I sat obediently listening, my mind drew a parallel. Educators are spending hours on test prep. This is robbing children of precious instructional hours to get ready for a state evaluation: The SBA (Smarter Balanced Assessment). Yesterday robbed teachers of planning time to prep and design quality lessons for children. This training deprived teachers from receiving professional development they personally needed to improve their instructional practice. Why? To prep the educator for the state teacher evaluation system: TPEP. The full focus has become TEST PREP, EVALUTION PREP and DATA. Note: Some teachers did need the training on TPEP yesterday. They are new to this evaluation system and appreciated the time. The presenter did the best she could with what she was mandated to deliver to us. I am positive she worked hard. However, many of us, would have preferred to stay home and save the tax payer the per diem pay, OR had the option to choose other professional development. Many of us have sat through these Webinars and Power Points on TPEP multiple times over the past three years. Not only was it a bad form of Professional Development, it was not necessary to insult our intelligence and assume we needed the repetition. Many of the slides in the Power Point were read to us. We sat. We listened. What are Teachers Expected to be Learning and Implementing in the Classroom Right Now? TPEP (The Teacher Evaluation System) which involves 4 Domains, 8 Criterion, 62 Elements, various Components, Segments, and Driving Questions. 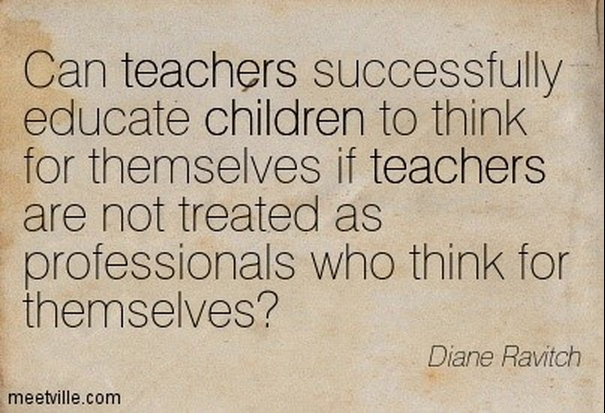 Ever Wonder Why Teachers are Choosing to Leave the Profession? 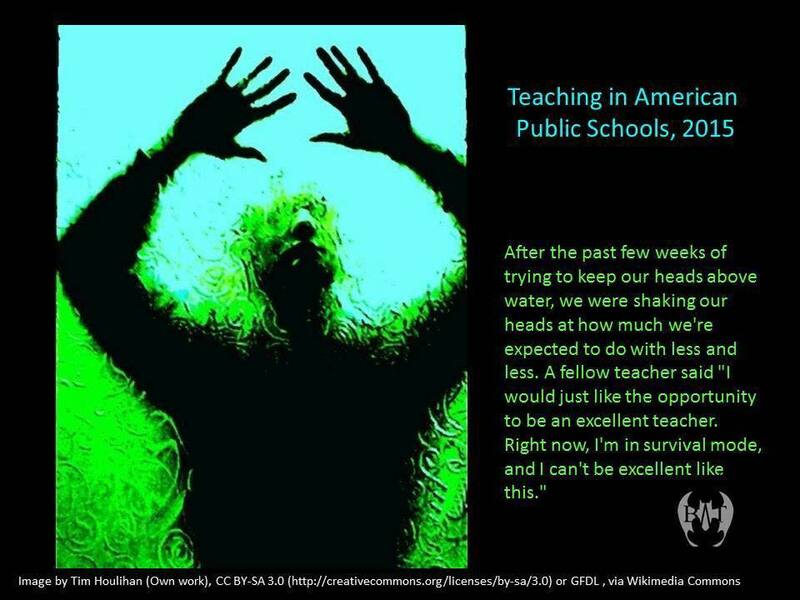 Ever Wonder Why There is Talk of a Looming Teacher Shortage? Data Data Data. The world will not turn without data. Children can’t learn without data. People can’t eat without data. 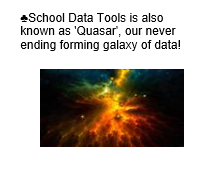 Schools can’t function without data. Teachers can’t lesson plan without data. 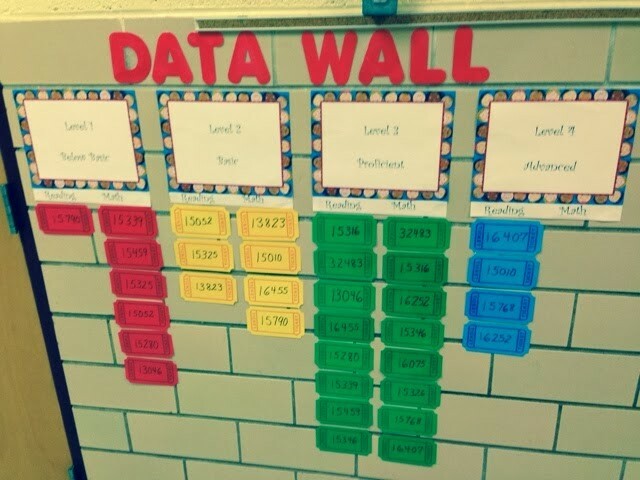 Teachers don’t know how to teach without data. Data… how did we ever survive before data? Bill Gates, in the Road Ahead, stated simply, “Data is power, he who controls the data has the power.” That was 10+ years ago. Kids are being tracked cradle to career. They now have the platforms (Amplify to name one) to forecast children’s capabilities for the state labor force… whether scientific or manual. Teachers are not to teach as an art, but to teach to keep the cogs in the machine moving. Right behind that one, my second “favorite”, was the fifth norm presented at the beginning of the all day Webinar: MISERY IS OPTIONAL. Ever read or watched The Divergent Series? Or how about The Hunger Games… and President Snow of The Capital? I do NOT choose misery. I choose the TRUTH. I was educated Pre-Common Core, and was taught to think outside the four corners of the text. The result: I think outside the four corners of the screen too. 2. What is the Core Really For? Let’s Get Curious… Where Is All The Money Going? A gentleman has been posting a link in several places on social media showing each Spokane School District Employee’s salary, bonuses received, and medical insurance contributions. I know teachers receive around $768 in contributions a month for medical insurance. This amounts to $768 X 12 = $9216 annually. I cover my son. The premiums come to around $1200 a month. Therefore, I pay about $400ish out of pocket each month, deducted directly from my income. If I added my husband the $1200 would nearly double. I scrolled through the link the gentleman shared. I noticed a pattern. Mark Anderson, Deputy Superintendent of Spokane Public Schools has an annual salary of $145,000. He received $33,000 in bonuses. And he received $20,000 in contributions towards his medical insurance. Most administrators I found make over 6 digits in income per year, have higher bonuses, and higher contributions to their medical costs. The exception… Shelley Redinger, Spokane School District’s Superintendent. She makes an annual salary of $239,999, received no bonuses, and also received over $20,000 in insurance benefits. This is $20,000 a month, plus her benefits. In 2009-2010, the then superintendent made $195,048. In 2010-2011, the salary increased to $222,576, a 14.1% increase. In 2011-2012, the salary increased $5,962, a 2.5% increase equaling a $228,538 annual salary. The current superintendent makes another $11,461 above this, another 5% increase. From 2009 to 2015 there has been a 23% increase to the annual salary of the person holding the Superintendent’s position. From 2009 to 2015 there has been no cost of living increase (0%) for teachers even though the voters of Washington State approved it. My salary has remained stagnant for 6 years. My take home pay, what I net, has decreased every year for six years running due to the rise in medical premiums. I do not complain. I did not go into education to become rich. I have raised my son as a single parent since he was a baby until last summer when I remarried. It wasn’t easy, but I made it. I budgeted. I set priorities, and I did borrow money at times to pay my basic bills. Many are in the same boat. I think it woud be advantageous for school district employees, parents, and the community at large to ask where the district IS deciding to spend their money. I spent a day this past spring plowing through the minutes of every single school board meeting. I found some interesting expenditures. There is money to pay Amplify, a testing corporation, (over and above the initial cost to purchase the program), $296,000 to write “custom” assessments for Spokane School District. Yet there is not enough money to purchase the writing curriculum that goes along with Journeys, the ELA (English Language Arts) adopted program. Amplify is owned by Rupert Murdoch of Fox News. Mr. Murdoch has been quoted as saying the United States Educational System is worth over $500,000,000,000 (500 BILLION) in untapped profits. I spent a lot of time researching its history. You can find the chronological articles with summaries here: Amplify… A Modern Day Medusa. Now, why would Mr. Murdoch be interested in the Testing Industry? Hmmmmm….. Note: The Smarter Balance Assessment Consortium paid Amplify $12,000,000 to write practice tests. Have teachers had the chance to look at the scoring guides? Do teachers realize they will now be scoring performance tasks and entering in the data to track children’s progress? Do teachers and parents understand how the data is being used and where it is going? Start asking these questions and start digging. 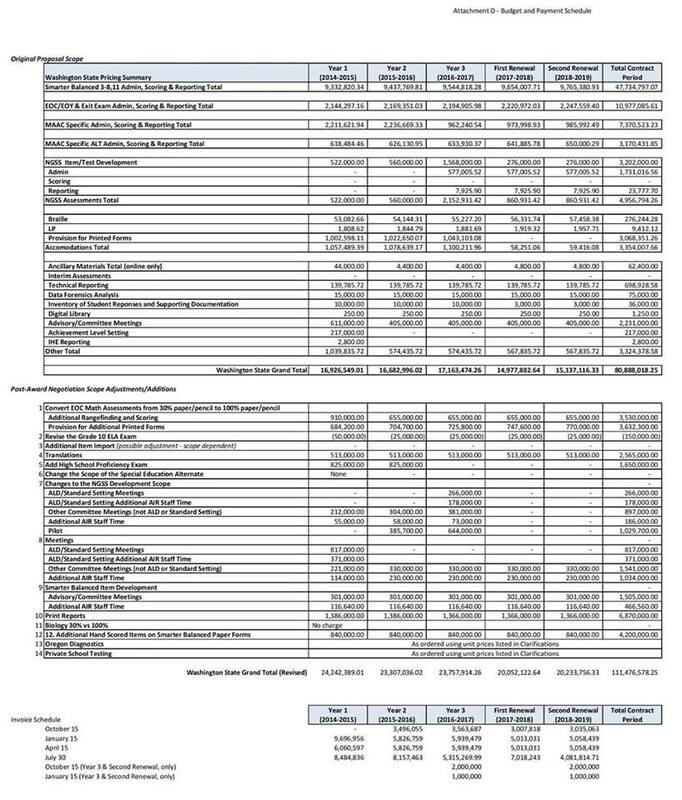 There is money to pay a company (Micro12) that sells broadband width and SBA (Smarter Balanced Assessment) resources a total of $3,905,777.50 so we can administer all the testing on the computers. But there isn’t money for curricular materials for TEACHING? Google MicroK12. Do your own research. Learn who they are, what they are about, and how much money they are getting of the people’s tax payer dollars. Does the Spokane community understand millions of dollars of their tax payer money are being spent and going to the testing industry? MILLIONS. We spent April through June testing kids. My staff has yet to examine their “data” from the SBA test. How was this test useful in informing instruction and improving student learning? Was it worth all the instructional time given up? Was it worth having libraries and computer labs shut down for 3 months so kids could be funneled into the testing troughs? There is money to pay for copying the EngageNY Math “free” materials with totals ranging over $3,000,000 from Spokane School District’s budget. An “interim” math program. My son, having it last year in 2nd grade, and now possibly another three years… is not “interim” for him. It is four years of his mathematical foundational years of learning. Digging and learning more about this math program, people will find it originated in Washington D.C. and was written by a company called Common Core, Inc. New York State paid them $24,000,000 to write the curriculum for their state. I also uncovered ties of Bill Gates contributing money to the writing of this curriculum. Bill Gates contributed $500,000 to Pride Prep, one of the charter schools opening in Spokane. Bill Gates has contributed over $2,000,000,000 (TWO BILLION) to Common Core. Now school districts are choosing to buy technology, new curricular materials, practice tests like Amplify, etc… all at tax payer expense, in order to align to the new and “rigorous” Common Core Standards. $2204 per student who attends Pride Prep Charter, (opening its doors for the first time September 2015), goes to Pride Prep from the levy money the tax payers approved this past year. On the OSPI website, it shows Spokane School District hired two administrators to oversee the two new charter schools. One paid for from the charter schools, one paid for from public tax dollars to oversee the charters. You can find all this information on the OSPI website. Therefore, another administrator was hired to oversee two charter schools at a salary higher than most teachers. Note: The charter schools get public tax payer money, but get to be privately run. They don’t have to use Journeys, EngageNY Math, Springboard, or any of it. They get to experiment with tax payer dollars. There is so much more research around this. In Florida State alone, 200 charters started and then closed their doors, at tax payer expense. Also noteworthy, the district hired Elementary Supervisors for the 2015/2016 school year. All being paid over six digits. Remember the Area Directors? They were all let go to “save” the district money a few years back? They are now hired back under a new name. I asked a district level employee if they bascially have the same job description… the answer was one word, “yes”. Therefore… more money to administration. Please, please, please take the time to learn HOW the district is choosing to spend its money. Please know they have $37,000,000 (37 million) sitting. There is money to compensate all eight bargaining units. What are our teachers, custodians, instructional assistants, nurses, transportation employees, food service workers, etc… worth to this community? I’m curious, how much money will we continue to pour into testing our children in the name of “accountability”? Who is profiting from Common Core and all the testing? I’ve followed states like New York and Florida… we are a bit behind them in our learning curve… those states have had large uprisings and have learned just where the money is going… and it is NOT into the educator’s pockets… the educators communities entrust with their children. Be Aware. Be Leery. Be Wise. 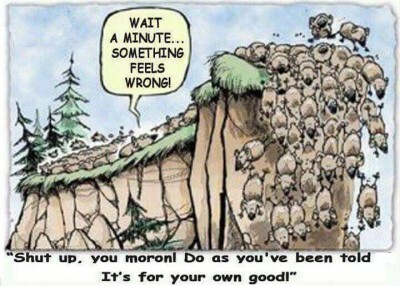 I read the other day that 95% of humans are equal to sheep… they just follow the rest of the herd. Around 1% are wolves… predators, people outside the norm of society. Then there are the other 4%, the Sheepdogs… the ones that protect the sheep from the wolves and lead them in the right direction. The massive, fluffy herd continued to head in the direction the Superiors told them too. The herd continued, slightly hindered by my heels in the ground. Some tilted their heads, and a few started popping their heads up to look and see what I was seeing. Most continued to move forward, avoiding my fluff and my “bark”, by moving to the left and to the right of me. Heads remained down and determined. The course was set. The Superiors knew best. I heard, “Baa Baa”, all around me… and an occasional “Bark Bark”. Every time I heard the “Bark” I lifted my head up high. Something became familiar about that sound. It made me stop. It made me look. I was able to see above all the other fluffy, bleating four legged creatures. Alas! There were a few that looked a lot more like me… Their “Bark” was loud and confident… giving clear warning of danger. 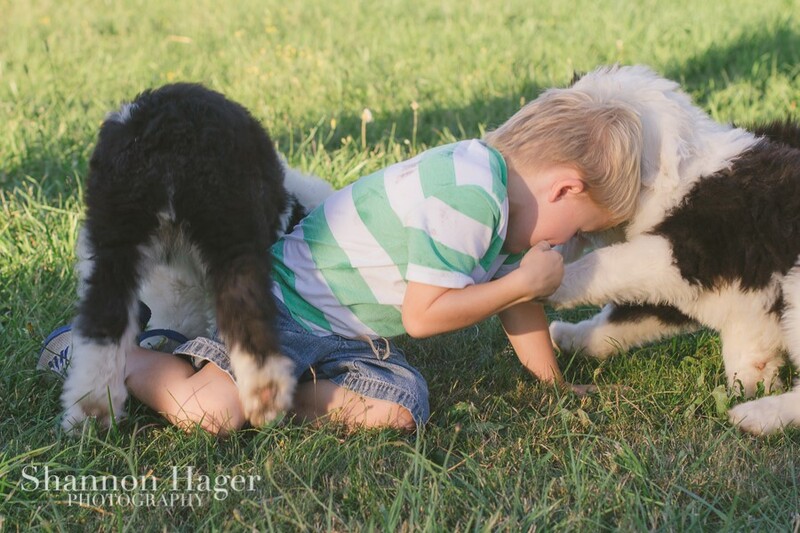 While both herding dogs and livestock guardian dogs (LGDs) are known as sheepdogs, their roles are quite different. The former bark at, nip, and stare down animals to keep them together and moving in a certain way. Livestock guardian dogs, on the other hand, live with their flock of animals full-time, allowing them to blend in and watch for intruders within the herd. LGDs are placed in the flock as puppies so that they “imprint” on the animals they will be tasked with caring for and protecting. Strongly bonded to them, the LGD will perceive other species as predators and protect those it knows from these potentially hostile outsiders. If a predator is not dissuaded by the presence of a LGD, it is ready and willing to attack and fight the predator to the death. And the LGD does not simply wait for a predator to attempt to infiltrate the flock – it also actively patrols its territory. Yet despite their fierceness, LGDs make loyal, gentle companions, and are especially protective of children.” (Emphasis Mine). “The business of being a sheep or sheepdog is not a yes-no dichotomy. Rather it’s a continuum. Some folks live at the extreme ends of the spectrum and are completely passive sheep or hardened ultimate warriors. Most people, however, fall somewhere in between. Raising my head and seeing ahead of me a first step. I was among my herd. The herd I loved. At first, it seemed hard to see. As I heard the barks from the few, my mind resonated with the warnings. Something was ahead and wrong. Imprinted with the herd, and caring deeply about my peeps, I had to do something! I discovered my true identity and realized I could “bark” too. It is a difficult place to be to sound different and look a bit different than the group. I’m still a fluffy being, just a different sort. My heart and mind are very focused upon the truth. I encourage everyone to actively dig, research, and question. Do more than tilt your head, raise it! Find the Sheepdog in you. Learn who the predators are and what is driving them… Our children need you. Common Core was written without transparency. Common Core is an untried and untested set of standards written by a group of non-educators. Common Core is developmentally inappropriate for many children. There are flaws in the Common Core Standards. The high stakes tests aligned with Common Core are invalid and unreliable, and also developmentally inappropriate. Children are being harmed. The No Child Left Behind Act of 2001, President George W. Bush’s education-reform bill, was signed into law on Jan. 8, 2002. The No President Left Behind Act of 2015, submitted as a presidential-reform bill in August of 2015. I think each presidential candidate should have to take a Presidential Balanced Assessment (PBA) designed by a Consortium of people who have never held a political office. I think the American people should set the Cut Scores. Temps are hired from Craigslist and paid $11.20 an hour to “score” the test. When they complete the 100 hour test, involving 8 sections with reliable computer adaptive capabilities, and performance tasks, each item shall become a data point. No political aid or speech writer can help them with their extended responses. They must take the test on a computer, other than their own, in a sterile room monitored by a test proctor. They are allotted a 30 minute lunch and may only leave the computer lab to use the bathroom. No other breaks allowed. 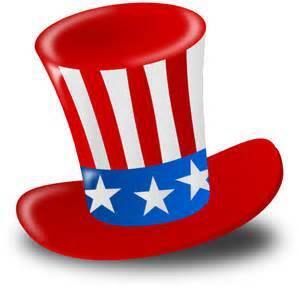 The presidential hopefuls can see their results 4 months after taking the Balanced Assessment. It will help them improve upon presidential skills necessary to be “Presidential Ready”. The data points are utilized to create graphs in multiple colors and placed on a data wall. This allows for easy data tracking throughout their campaign. Only those deemed Highly Qualified shall be able to proceed. To maintain their Highly Qualified status, they must be observed four times throughout the preliminary race. They will be scored in 41 Elements, within Components, within overarching Domains, to see if they indeed meet the Criterion. Only a Score of a 4 shall keep them in the Highly Qualified Status throughout their campaign. If at any time, they received a score of a 1,2 or 3, they shall be placed on probation and retested, utilizing the highly reliable and valid PBA (Presidential Balanced Assessment). The majority of the candidate’s evaluation will be based on the test score. If they can not maintain the Highly Qualified status, they are completely removed and can not run in the final election. If passed, this new presidential reform bill will be the most valid and reliable way to ensure the best candidate becomes the president… The test score, (number), reveals everything essential to determine the most “National and D.C. Ready” person for President of the United States. There’s gotta be National Common Presidential Standards written somewhere… right? If not, no worries, those can be whipped out in a manner of months too. There has been growing concern of the failure rate in past presidents. This new presidential-reform bill will help ensure a 100% success rate by 2020. Please support NPLB (No President Left Behind)… Our Nation Is At Risk. The Smarter Balanced Assessment Consortium is a service provided by a public institution (University of California, Los Angeles), governed by member states/territories and funded with member state/territory fees. Smarter Balanced has claimed to have “developed next-generation assessments to ‘accurately’ measure student progress toward college and career readiness in English language arts/literacy (ELA) and mathematics”. Complete information on the Consortium and its assessments, including full practice tests for each grade and subject, can be found at www.smarterbalanced.org. The Smarter Balance Assessment is just exactly what it says. It is the assessment itself. Each child in 3rd through 8th and 11th grades, will take the Smarter Balanced Assessment in both ELA (English Language Arts) and Mathematics. What is required of children taking the Smarter Balanced Assessment? There are four components a child encounters throughout this assessment series. The ELA Performance Task: Children read varying texts on different screens. They then are given a prompt they must “write” to, comparing and analyzing the texts they have just read. The student then goes about writing their response and typically this involves several paragraphs. These paragraphs must be typed into a text box. 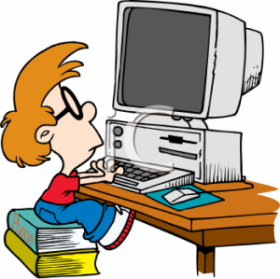 Younger children are known to enter the computer lab first thing in the morning and often are not finished with this task by the end of the day. They then come back the following day to peck at it again. Their hands do not span the keyboard. The Math Performance Task: Children read a contextual problem. They are asked various questions around this problem and are asked to explain how they solve each layer of problem. Children are required to type their explanations into the text box provided. ELA Computer Adaptive Test (CAT): This portion of the test has children encountering approximately 30 multiple choice and short answer questions. Some multiple choice questions have more than one correct answer. The child must select each correct answer for that question or they get the entire question wrong. Furthermore, if a child gets a few questions right, they then throw them a progressively harder question. If the child misses a few questions in a row, they get thrown progressively easier questions. Essentially, each child encounters different questions depending how they answer each individual question. Math Computer Adaptive Test (CAT): This component of the test is essentially the same as the ELA CAT. The children encounter 30ish questions on this day, the level of difficulty fluctuating up or down, depending upon how the child answers each question. 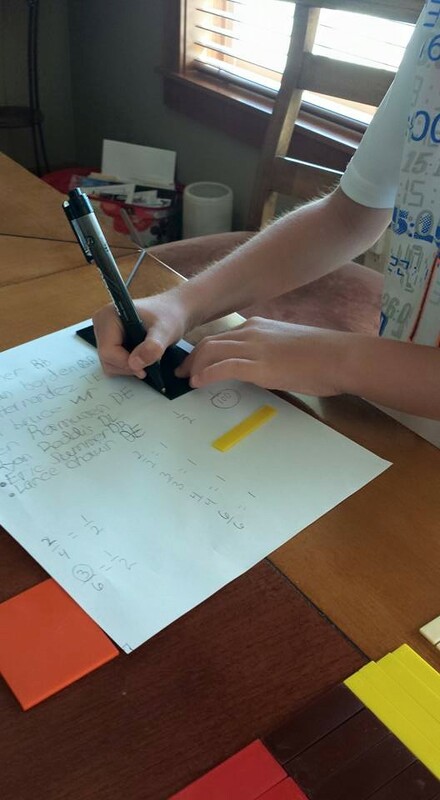 The math problems involve multiple steps and typically require the child to utilize the frontal cortex of their brain, the place holding the capacity for reasoning and problem solving. According to neuro scientists, the ability to reason and problem solve is solidified sometime between 11 and 15 years old. The performance tasks are known to take a day a piece. Some children take a second day to complete the task. They begin the test, often once they arrive at school, and are still pecking away up to the ending bell. Imagine, 8 year olds, sitting before computers for an entire day for ONE of the FOUR portions of this test. Young children are taking this test for lengthy periods of time, more than is required of college age adults on final exams. Thus, those of us who are in the trenches, looking at the eyes of our students, are proclaiming the developmental inappropriateness of this testing beast. Not only is this unethical, it is also harmful to a child’s confidence and attitude toward learning. Layer this with the studies coming out regarding the unreliability and invalidity of this test. My son has had no formal instruction in fractions. Children are naturally curious. 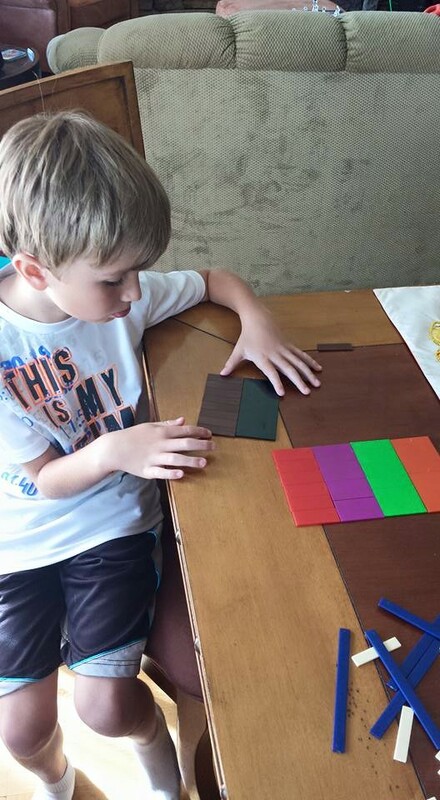 He quickly was able to figure out the value of each colored fractional piece by using concrete materials. Then I asked him if we could cut the black “candy bar” into 100 pieces? “Yep” he said. He instantly grabbed the pen and started to try to show me the size of what one hundredth would look like? I then asked, “What are you noticing about the half and the hundredth? I grabbed the 1/2 piece. How many ways can you make 1/2? He instantly went to work. He found 2/4, 3/6, 4/8, 5/10, 6/12. Wrote each of them like: 1/2 = 2/4. Yes. What else do you know about those numbers? Yes! I said. Now what if we cut this candy bar up into sixteenths? I wrote: 1/2 = /16. What would make an equivalent fraction? So I wrote: /80 , /150, /96. Handed him the pen. And watched. He put 40 above the 80 and 75 above the 150… instantly. Then paused at the /96. In about 5 seconds he wrote 48/96. (80 + 10 + 6 = 96)… He took half of each of those and added. I did not directly teach him one thing. He made the connections and the discoveries with my guidance. Took all of 25 minutes! Asking the right questions is the gateway to a child’s natural propensity for curiosity. CC has become the acronym for Common Core. No more… ! Exchange the two Cs for Curiosity and Creativity… the REAL CC. Curiosity and Creativity emphasizes the heart of inspiring and educating children. The Common Core Standards are just that… Common. No child is common. The standards streamline learning with claims of “rigor“, when what our children need most are learning environments in which they can learn at their individual developmental pace. Because children grasp skills and concepts in different ways, honoring each child’s learning style creates an atmosphere of “vigor“, the essential nutrient needed most in their earliest years of learning. Standardized Learning. An attempt is made to box children into learning the same things at the same time at the same pace. Only that which can be measured is aspired to and made most important through high stakes testing. The landscape of learning is a much wider path. Children traverse it when they are allowed to explore. They like to see what is around the corner and over the hill. Through the common core, we have compartmentalized their learning and are keeping them on straight and narrow roads. Children are contained to only one road at a time. They master a road, check (test), and then are allowed onto the next straight road. Check (test). And so forth. What of traits like curiosity and creativity? Are these measurable? Do we consider these important attributes for our children? Sir Ken Robinson outlines three principles crucial for the human mind to flourish. He captures the following principles eloquently in his TED Talk: How to Escape Education’s Death Valley. Human beings are naturally DIFFERENT and DIVERSE. If you can light the spark of curiosity in a child, they will learn without any further assistance…. CURIOSITY is the engine of achievement. Human life is inherently creative. One of the roles of education is to awaken and develop these powers of CREATIVITY. So often the standards are referred to as “rigorous”, but rigor is about death… Education’s death valley. Rather, the aim for our children needs to be “vigorous”… about thriving and growth, and vigor is about life. In order to meet the goals of a society filled with thinkers, innovators, inventors, explorers, painters, historians, writers, mathematicians, adventurers, etc… we can not lose sight of the valuable role curiosity and creativity play. Reassuring children have vast opportunities to use their natural Curiosity and Creativity, the real CC, within the learning process, will enable each different and diverse child to flourish in the valley of life. My 8 year old son has had no instruction in fractions. Through the use of concrete materials, he quickly figured out the value of each colored fractional piece. Then I asked him if the black “candy bar” could be cut into 100 pieces? 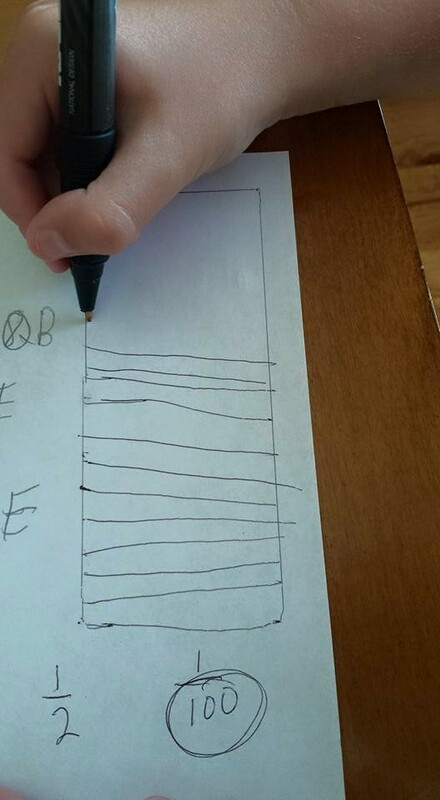 He instantly grabbed the pen and started to try to sketch the size of a hundredth. This stumped him for a bit. He made it into 20 equal parts, then experimented with dividing the 20th into parts. 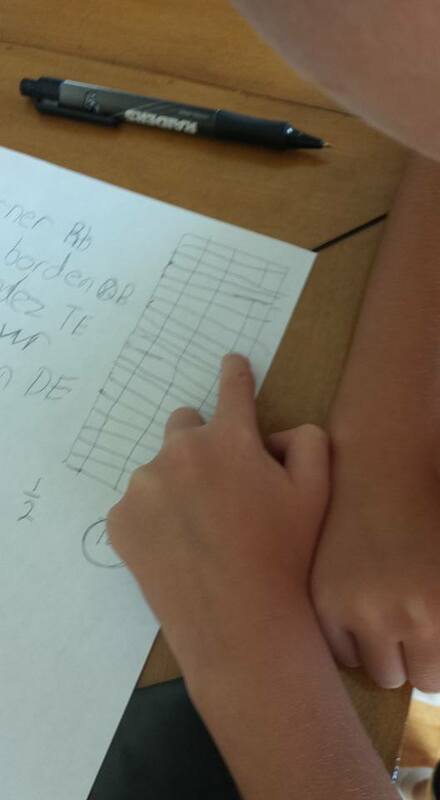 After drawing the 4th line, he achieved success by dividing the bar up into 5 equal groups of 20. As he wrestled with each mathematical question I asked, he continued to request a progression of more difficult problems. My questions had him hooked, and his natural curiosity had his engine revving. By the end of the fraction expedition, he had begun making sense of the concept of equivalency by finding several ways to make 1/2. He made many connections with my intentional guidance. Asking the right questions is the gateway to a child’s natural propensity for inquiry. Tapping into where a child is developmentally, utilizing multiple learning styles, and honoring their unique intelligences, are the keys to unlocking the door to new learning. The world is full of valleys, mountains, bridges and tunnels… Children are capable of paving paths unforeseen. The full 25 minute fraction lesson linked here. It has only been a few days, but longer than 24 hours. I mentioned in Story Eight, There Are Some Bully Snakes When It Comes To Toxic Testing, how my peers have imparted the wisdom of waiting for 24 hours before responding to anything when angry. I didn’t wait…. and I wrote Story Eight instantly. This is the follow up to the original story. 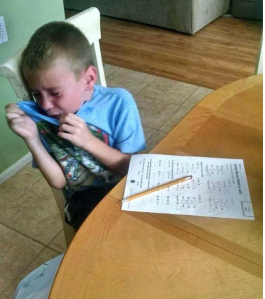 So many of the stories dealing with the high stakes test pull at the heartstrings. Children, who are forced, at younger and younger ages, to sit in front of computer screens testing for up to six hours in a day. Children, who sit in front of computers testing longer than college age students. Children, with hand spans not large enough to reach all the keys on the keyboard. Peck, Peck, Peck… for hours. Children, as neuroscience shows, are not developmentally ready to show mastery of deep levels of reasoning. So… it has been longer than 24 hours. And I still feel mad and infuriated and want to get on an airplane and fly to Michigan to give this 3rd grade little girl a great big hug. Since it’s not possible, my son and I took a different approach. Did she read some amazing books and increase her vocabulary this year? Did she learn how to multiply? Did she try hard to learn all the other days in the school year? What learning did she show IN her classroom? Does the teacher have any evidence of growth in this child? 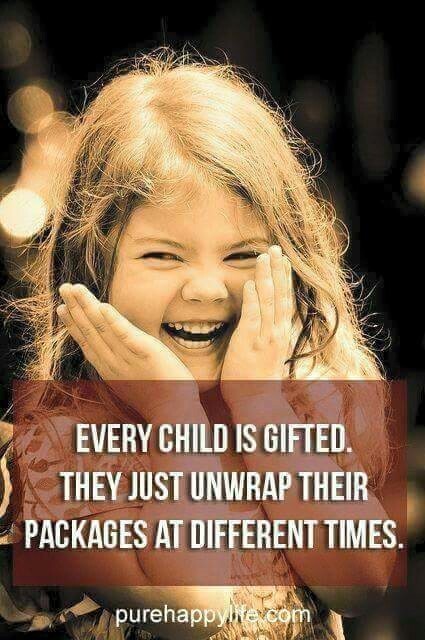 What gifts and talents did this child bring to her classroom? Were they encouraged? What do we hold most dear in our children? I’m tired of the message we are sending to the youth in our country. I’m tired of the mandates put upon our youth’s shoulders pushing them to test constantly, in order to prove their worth. I’m tired of a score on a test speaking louder than a creative story they put weeks into, and illustrated in artistic ways. I’m tired of the emphasis placed on arbitrary numbers playing King, when children are capable of more than what is measurable. Common Core Tests make no Common Sense. 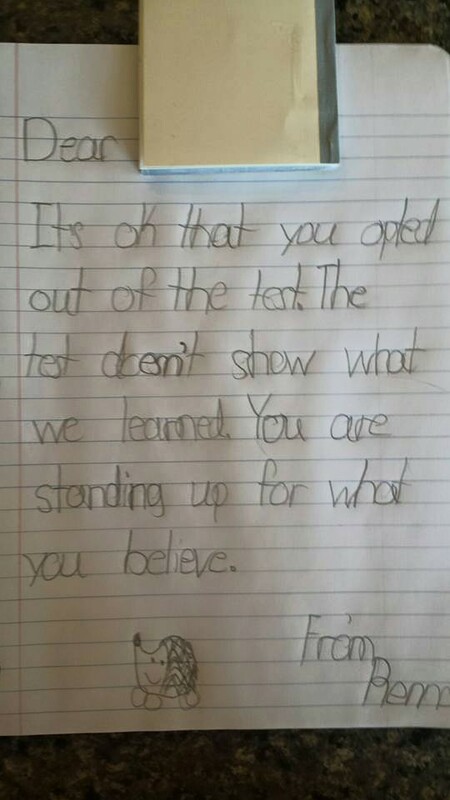 Common Core Tests are limiting. Common Core Tests do not measure curiosity, creativity, imagination, innovation, perseverance, tenacity, passion, or the love of learning. Common Core Tests will never compete with the portfolio of evidence I’ve been given as a parent and hold in my hands… can see with my own eyes… beaming with pride of course… and the enriching conversations I have had throughout the school year with my child’s teacher. Common Core Tests do not measure what children at young ages know and are able to do. Common Core Tests are Snakes. Common Core Tests turn some people into Snakes. It has been one of my missions as a parent to teach my own child empathy (another attribute not measurable by a test). After writing Story Eight, about this little girl and how she was treated by some “adults” in her school, my son and I went shopping. We decided to fill a basket full of an Ice Cream Sundae Party! 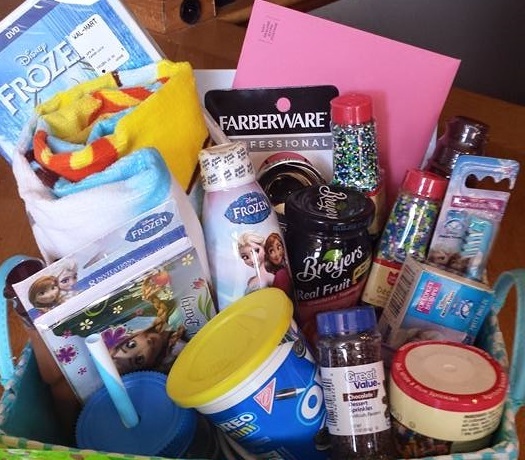 Included are: A “Frozen Theme”, appropriate for an ice cream theme, and… invitations, the DVD of “Frozen”, syrups, sprinkles, summer towel, sun screen, and more! 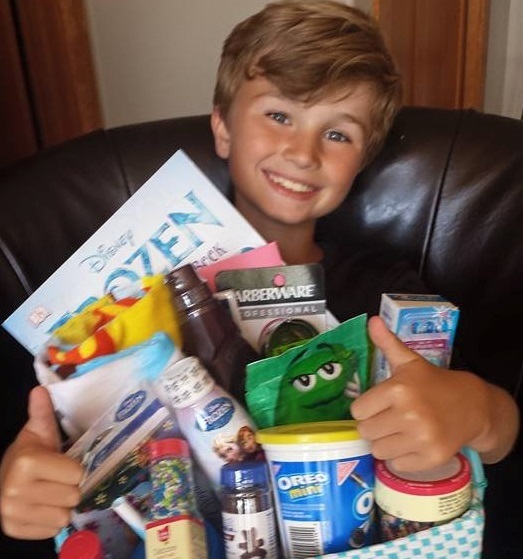 My son sets aside part of his allowance to give towards others… He placed enough cash in an envelope so she and her momma can buy a big carton of ice cream. We hope this unique and precious child makes the hugest ice cream sundae ever, and giggles with her friends through the movie “Frozen”. She has a lot to be proud of as she completes third grade. We added a spiral notebook so she can start writing down all the amazing things she does and can do. We also hope it will be a place where she will write all of her dreams. A place where her imagination will soar. 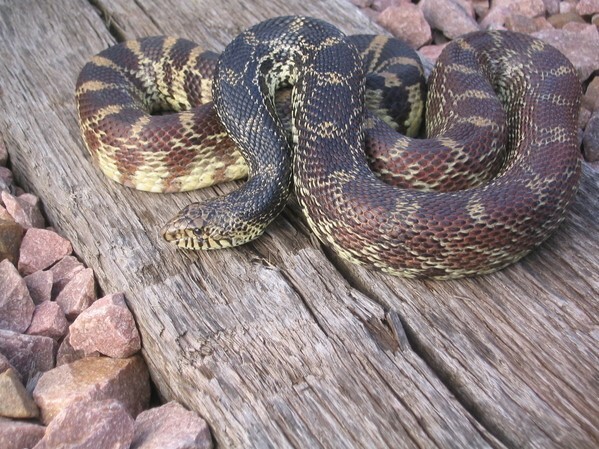 Today we beheaded a Bull Snake with an Act of Kindness. We countered bullying behavior with a “Frozen” ice cream sundae party to celebrate the accomplishments a little girl made in an entire school year… Those accomplishments out weigh a Toxic State Test. Stop Measuring Our Children With Tests. Start Focusing on How Children Learn. Parents know their children well. We are opting our children out of the toxic tests because we do not believe it is right for our children. It is harmful and child abuse. The mother of the child in this story got a call from the school principal after the school district’s phones rang off the hook, and letters were posted on the school’s Facebook page, sharing outrage of her bullying behavior from all over the nation. She left a message with an apology, and asked how she could make this up to the child. As I have grown older and wiser, and taken the advice from many peers, they have often suggested “to wait 24 hours before responding”. 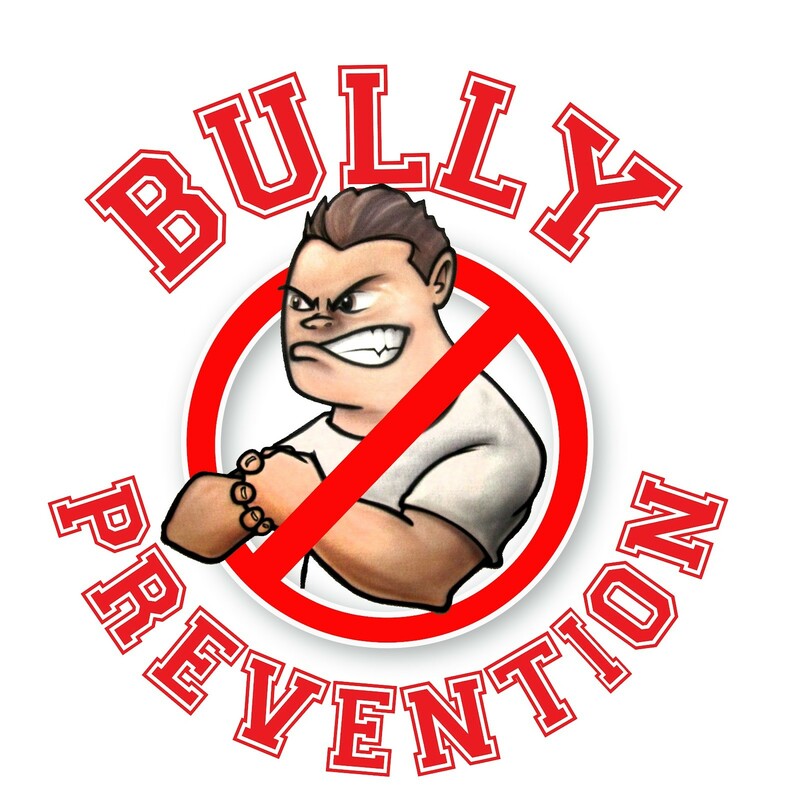 In this case, 24 hours will not change the red I see, or the shame I feel, about an adult BULLY in any school. This principal is 100% Bull Snake. This is uncalled for and inexcusable. What am I so infuriated about? Read the story first and see if your blood will boil like mine before I comment further. As of 9:30 p.m. Pacific Time, June 4th, 317 comments have been posted to this mother’s story. It has been 6 hours since I first read this mother’s frustration and heartache for her daughter. My blood is still boiling. The sad part regarding this story out of Michigan is knowing other children are suffering the same treatment. What is it about some schools treating children with dignity who opt out of the reptilian, invalid tests… and others who have educators acting like snakes? The little girl in this story is in 3rd grade. 3rd Grade! She is 8 or 9 years old. She sat and watched her classmates making sundaes, eating them, smiling, happy and she was made to sit and watch. 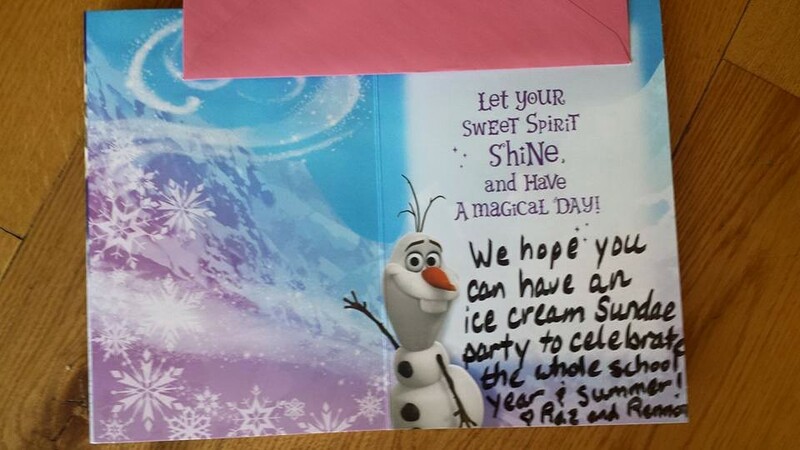 Hmmmm… did this school offer an ice cream party to the children who turned in all of their homework for the year? Did this school offer an ice cream party to the children showing growth in math or reading in their classroom work? 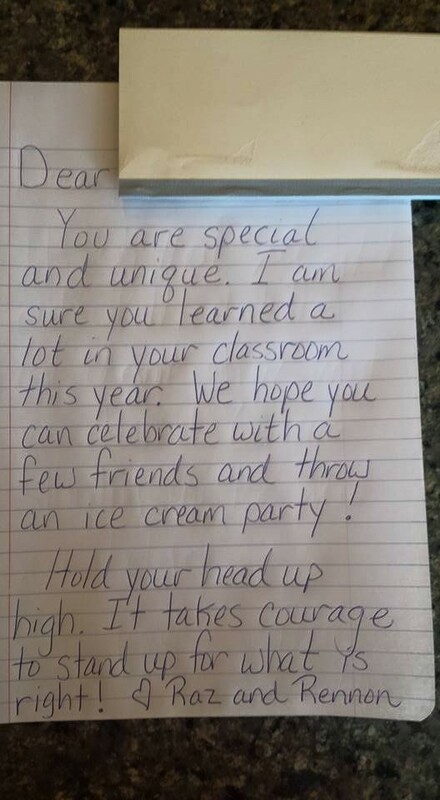 Did this school offer an ice cream party to children who wrote a story or a top notch book report? Did this school offer ice cream sundaes to the children who attended school all year and worked hard? Hmmmm… for what reason, then, do the children in this school get an ice cream sundae party? The other 179 days of school don’t matter. This is putrid. Each time I read the story, I can smell the rot. The love affair the politicians and other powers that be have with this testing obsession… are directly responsible for creating venomous environments for our children. It is sad how some educators, trained to inspire children, are becoming snakes themselves. I’m “all in” for this little girl. I hope you make this right. This little girl deserves a sundae in your office and an apology to her family. I also hope you consider next steps for how principals in your school district are allowed to treat children. 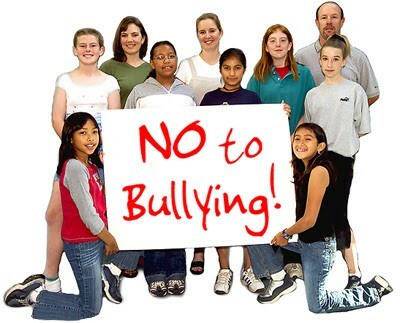 This principal publically bullied this little girl in front of her teacher and her peers. As an educator, I am appalled and ashamed by this behavior.